Taking his courage in his hands (for a great crowd of pagans stood by watching and bitterly cursing in their hearts the enemy of the gods), he cut the first notch. But when he had made a superficial cut, suddenly, the oak's vast bulk, shaken by a mighty blast of wind from above crashed to the ground shivering its topmost branches into fragments in its fall. As if by the express will of God … the oak burst asunder into four parts, each part having a trunk of equal length. At the sight of this extraordinary spectacle, the heathens who had been cursing ceased to revile and began, on the contrary, to believe and bless the Lord. Today, his action would probably be labeled one of intolerance, of cultural insensitivity, and of religious superiority. And while there might be something behind each of these accusations, the holy Bishop would not likely have understood them. 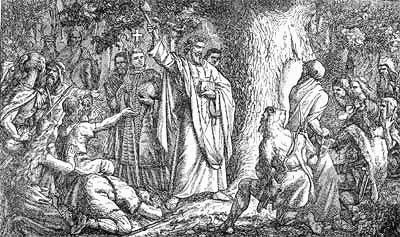 He struck down that tree for the simple reason that it kept those ancient Germanic peoples from encountering Jesus and Saint Boniface knew that every obstacle to the love of Christ must come down. This little tree, a young child of the forest, shall be your holy tree tonight. It is the wood of peace, for your houses are built of the fir. It is the sign of an endless life, for its leaves are ever green. See how it points upward to heaven. Let this be called the tree of the Christ-child; gather about it, not in the wild wood, but in your own homes; there it will shelter no deeds of blood, but loving gifts and rites of kindness. Some accounts say those new Christians began bringing fir trees into their homes and decorated them with candles. Thus began the custom of what we now call the Christmas tree. Much as the life of the fir tree stands as a sign of God’s love for his creation, so, too, should the shared life of a husband and wife stand as a sign of the love the Lord Jesus has for his Bride, the Church. So it is that now I ask you, dear brothers and sisters, to allow me to speak directly to the bride and groom around whom we have gathered today. You, of course, are most welcome to listen in. Evan and Cheryl, the great J.R.R. Tolkien wrote an intriguingly straightforward letter about marriage and the relationship between men and women to his son Christopher in March of 1941. The famed author of The Hobbit and The Lord of the Rings warned of the danger of “the romantic chivalric tradition,” which carried with it three errors. At first glance, we might be tempted to think these words somewhat gloomy. 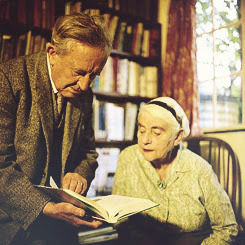 Perhaps they are, until we realize that Tolkien wrote them in the twenty-fifth of fifty-five years of marriage to his beloved Edith. When he penned these words to his son, he did so with the full knowledge of all that marriage entails, of all its joys and difficulties. Here, then, we come to the distinctive mark of Christian marriage. The Lord Jesus took the natural institution of marriage and raised it to the dignity of a sacrament. 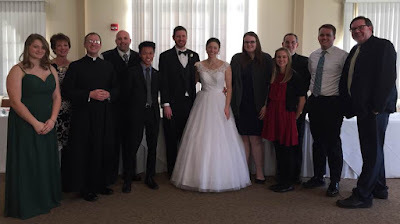 In Christ, marriage becomes a vocation, a calling from the Lord that receives “a noble purpose,” a way of life leading to the sanctification of the spouses (Tobit 8:7). Husband and wife become for each other a “help and support” as together they “pray and beg our Lord to have mercy on us and to grant us deliverance” from their sins (Tobit 8:6, 5). Strengthened by the Lord’s grace and by imitating his love, the couple united by the Lord learn to “anticipate one another in showing honor” and, as Tolkien knew well, begin “to forget their [own] desires, needs and temptations” and look instead to the desires, needs and temptations of their spouse (Romans 12:10). 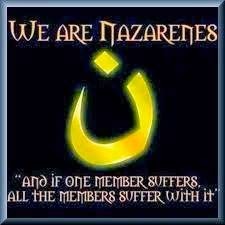 It is in this way that they keep the command of the Lord Jesus to “love one another as I love you” (John 15:12). Evan and Cheryl, this will be your great task from this day forward, to mirror to each other - and to the world - the love of Jesus Christ. Though this mission is a daunting one, I urge you not to be afraid of it. Rather, take it up with joy, confident that the Lord will strengthen your commitment to one another and will hear your every prayer, for he himself has brought you to this day. Permit me, if you will, to say that you have both come here today as two single trees. 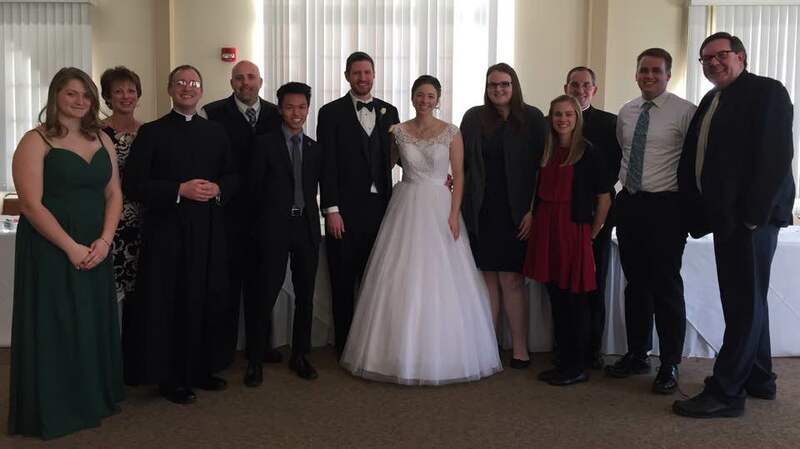 You desire to be joined today in holy matrimony because you recognize in each other not only the one your heart desires, but also – and more importantly – one who can help you grow in holiness, one who can help you attain perfection in Christ. Because of your mutual desire to help each other grow in holiness, you need not be afraid when one of you takes, as it were, like Saint Boniface, a gentle axe to the other to clear away whatever is not of Christ, whatever does not reflect his love, and whatever keeps you from entering fully into his love. And when that gentle axe comes swinging away at you, do not resist it but allow it to prune away all that keeps you from growing each day in holiness. Through the bond of marriage, the two of you will become today like a great fir tree standing in the midst of a troubled world as a sign of peace. Through the tender love you bear for each other, you will stand also as a sign of the joy of the gift of endless life. United in peace and love, you will grow tall pointing upward ever more clearly, indicating the way to the heaven, not only for yourselves, but for everyone. Seek, then, to “put forth [your] branches and bear [the] fruit” of loving gifts and rites of kindness to all who gather around you (Ezekiel 17:23). If you let the tree of your communal life imitate the tree of the Lord’s Cross by laying down your lives for each other, all who see your married love will see in it a reflection of Christ’s love for us and, like those early pagans, will be moved to believe and bless the Lord (cf. John 15:13). If you love and honor each other in this way, you will indeed “go and bear fruit that will remain” (John 15:16). If you help each other to become saints, the light of your married life will shine more brightly than the greatest Christmas tree. You will be not only companions in shipwreck, but you will become guiding stars for all who seek the salvation of God. Amen. Saint Willibald, Life of St. Boniface, 6. In C.H. Talbot, trans., The Anglo-Saxon Missionaries in Germany, Being the Lives of SS. Willibrord, Boniface, Leoba and Lebuin together with the Hodoepericon of St. Willibald and a selection from the correspondence of St. Boniface (London and New York: Sheed and Ward, 1954). In Steve Weidenkopf, “St.Boniface and the Christmas Tree,” Catholic Answers. 5 June 2014. J.R.R. Tolkien, Letter to Christopher Tolkien, 6-8 March 1941. In Humphrey Carpenter, ed., The Letters of J.R.R. Tolkien (Boston: Houghton Mifflin Company, 2000), 48-49.